Villa Trini offers you two bedrooms with air-conditioned and two full baths (sleeps 6) a great terrace with private swimming pool, BB-Q, spectacular view, six sunbeds, garden table w/umbrella, open living and dining rooms with bar on covered terrace with ceiling fans, cable TV, Internet dial-up connection, utilities, linens, towels and maid service is included. 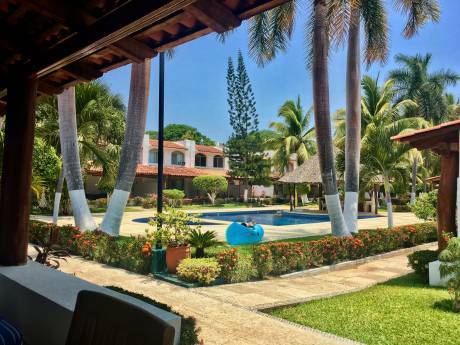 Fully equipped kitchen with full-size fridge, microwave, toaster, coffeemaker, small appliances, cookware and utensils; there is bottled water for your use in the kitchen at all times. Cooking is available upon request on special rate. Children are welcome but NO pets (we have a portable covered crib and car seat). Handicapped access is not available. Family of three, we have a Chinese-Japanese restaurant, father, mother and a well behaved 10 year old girl. 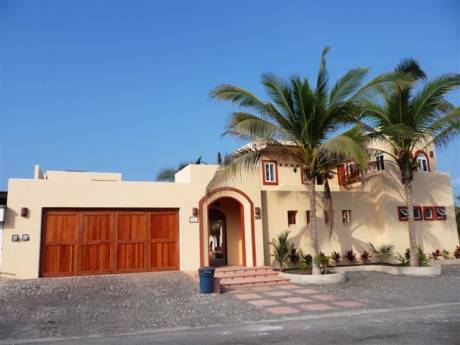 Comfortable villa with a wonderful panoramic view of Acapulco Bay. Whether you want to lay back and relax, or enjoy the wild nightlife Acapulco has it all for you! 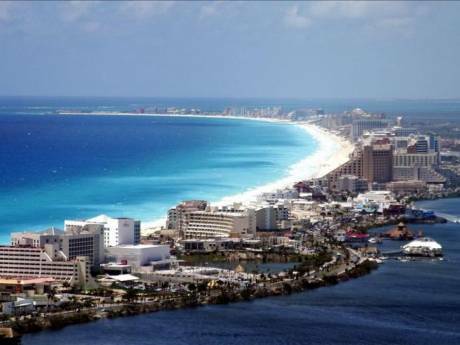 Acapulco offers watersports, such as sailing, parasailing, waterskiing, boating, deep sea fishing, golf, tennis, banana & parachute riding, bay cruises, jet skiing, etc., great shopping malls and famous restaurants as well as some of the most exclusive nightclubs in the world.